We can't wait to make your home great. Reducing leaks around windows, doors and chimneys in your home will result in considerable annual energy savings. Caulking and weatherstripping are two simple and effective air-sealing techniques that offer quick returns on investment, often one year or less. Caulk is generally used for cracks and openings between stationary house components such as around door and window frames, and weatherstripping is used to seal components that move, such as doors and operable windows. Older structures may be under-insulated since the amount of insulation in ceilings, walls, and floors is often determined by the building or energy code requirements mandated at the time the structure was built. Check to see if your attic and basement (or crawl space) have a sufficient level of insulation. Consider adding insulation when embarking on a home remodeling project. Install pipe insulation on all exposed hot water pipes. Install pipe insulation on the first three feet of exposed cold water pipe connected to the water heater. Identify places that heat escapes from your home. Check for gaps and holes that allow heat to escape, raising your heating bills and making your home drafty and less comfortable. Check your furnace filter(s) monthly. During the heating season (also during the cooling season if you use air conditioning). The proper time interval for replacing or cleaning filters will vary depending on the rate of accumulation of pet hair, dust, and carpet lint in your home. Consider joining our automatic Filter Renewal Program. Call 800-398-4663 for details. Lower your thermostat. On average, for each degree you consistently lower your thermostat, your heating energy consumption drops by two percent. Therefore, keep your thermostat at the lowest comfortable setting (68 degrees or lower). Look into a programmable thermostat to help automate your heating and cooling system. Seal your home’s unheated spaces. If ductwork goes through an unheated basement, attic or crawl space, check for leaky joints or disconnected sections. Seal leaky joints with latex duct mastic or foil backed butyl tape. Reconnect any loose sections, seal, and support. Install weather stripping and door sweeps along with caulking any exposed cracks or missing seals. For a no-cost fix, roll up a bath towel and hold it against the bottom of the door with a weight. Replace caulking around your home’s windows to reduce air leaks. Use non-hardening “rope caulk” to temporarily seal gaps on little-used, movable windows and sliding doors. If your home’s windows are single-paned, consider installing inexpensive “tape-up” interior storm windows for a low-cost, temporary fix. Caution: Make sure that doors and windows can be opened as emergency exits in case of fire. Maintenance is a time consuming task, but extremely important to protect your investment in a home-comfort system. Put your maintenance on autopilot with our Guardian Maintenance Program. If you don’t know where to start, we recommend a comprehensive Home Energy Audit. Our 3-hour home inspection will find opportunities to save you money and you’ll also receive a 20-page report on your home’s performance. Schedule a home energy audit today. Are you budgeting for home upgrades? Whether you have an appliance that’s been on the fritz, drafty windows that have condensation, or a water heater that has felt rather cool lately, this could be the year to take the plunge and replace them. Or perhaps you just want to replace an older appliance with a more energy-efficient model. Either way, stash some cash away every month for upgrades. If you’re operating appliances from the 90’s or early 2000’s (or yikes, even before) you’re spending too much on energy—plain and simple. Water heaters, refrigerators, dishwashers, and washer/dryers can be huge energy wasters. Make 2016 the year you finally say goodbye to the energy hogs and say hello to sleek, energy-efficient models. What happens during an HVAC tune-up? Posted On: December 17th, 2015 Filed Under: Heating, Cooling 2 Comments on What happens during an HVAC tune-up? Regular maintenance and tune-ups hold many benefits, including better performance, greater longevity, and a reduced risk of problems or breakdowns when you need your HVAC system the most. Your Seattle HVAC service can help you enjoy the improved home comfort that comes with a well-tuned system by offering regular tune-up services for both your home heating and cooling systems. Keep reading to discover what to expect from a professional HVAC tune-up and why your home can benefit so much from this simple service. HVAC tune-up services begin with a thorough inspection of your entire heating and cooling system, including your appliances and your thermostat. This inspection checks the condition of the electrical and mechanical components inside each appliance to look for dirt, wear, or damage that may affect heating and cooling performance. Your flue and ductwork will also be inspected for damage, corrosion, or buildup. During the inspection, your HVAC service technician will closely examine any and all safety measures to ensure your system is operating within safe and optimal parameters. The batteries in your thermostat will also be checked and replaced if necessary, and any minor adjustments your system may require will be made as part of your tune-up service, such as straightening your air conditioner coil fins and checking the schedule set in your thermostat. HVAC tune-up services also include a full system cleaning. Dirt and dust buildup are a common cause of increased energy bills and poor HVAC performance, as airflow and efficiency are both hindered by these conditions. Your HVAC technician will take care to clean away any buildup and corrosion inside your heating and cooling appliances, paying attention to every area, including electrical components for safety. During this portion of the HVAC tune-up service, your technician will also check and replace your air filter if necessary for cleaner indoor air and improved airflow through your heating and cooling system. If your system includes a condensate tray or drip line, these components will also be emptied and cleaned to prevent leaks and backups. Once the system check and any cleaning services have been completed, your HVAC technician will brief you on the status of your heating and cooling system. He will also make recommendations based on his overall findings, such as whether components of your heating and cooling system require repair or replacement, and whether you may want to consider an additional service such as duct cleaning for a healthier home and better HVAC performance. You will also be able to ask your HVAC technician any questions you may have about your system, such as its age, general condition, and whether he might recommend upgrading or replacing the system in the future for better performance and monthly savings. If you opt to make any necessary repairs immediately, your technician will complete this service before your tune-up is considered complete. Is your HVAC system overdue for a tune-up to improve its performance? Our experienced heating and cooling technicians in Seattle offer precision tune-ups for indoor and outdoor home comfort systems, as well as for fireplaces, generators, and water heaters. You can find out more about this service and our other home comfort solutions when you visit us on the web, or read more about how to keep your HVAC system in great shape on our monthly blog. According to the National Air Duct Cleaners Association (NADCA), a typical six-room home can accumulate up to 40 pounds of dust annually through everyday living. Yes, 40 pounds. These contaminants are pulled in through the system and re-circulated up to seven times a day. This re-circulation causes a build-up of contaminants in the ducts, so that dirty air continuously flows as the heating and cooling system operates. While you may feel fine, this contaminated air may lead to health issues down the road (especially for children), and are particularly harmful for those with respiratory conditions, autoimmune disorders, and allergies. Duct cleaning by Washington Energy removes the pollutants, and by extension, some of the underlying causes for these health conditions. Not only are dirty air ducts potentially hazardous to your health, they can be hazardous to your wallet as well. According to the U.S. Department of Energy, 25 to 40 percent of the energy used for heating or cooling a home is wasted. That’s money being thrown away with every turn of the thermostat. Plus, the build-up of dust, dirt, dander, and allergens in your heating and cooling system causes it to work harder than it needs to, thus shortening its lifespan. In the Puget Sound area, many homeowners opt to have their ducts cleaned every two years, as our climate serves as a perfect host for mold, mildew, fungus, and bacteria, in addition to the contaminants mentioned previously. Fall is an ideal time to have this service completed, before you kick your furnace into high gear for winter. If you’re concerned with the air quality of your home, have a family member suffering from respiratory issues or allergies, or simply want a fresh start with clean ducts and a renewed peace of mind, contact Washington Energy. When it comes to your physical (and financial) health, we can help you breathe easy. Feeling a little drafty now? Just wait until winter. Drafty doors and windows not only make for uncomfortable living spaces, but they also cause unnecessary energy loss and costs. That’s why it’s crucial to conduct a window and door audit of your home and install any necessary weather stripping or caulking to keep the warmth in and the cold out. If your windows continually allow cold air in or you see condensation between panes, it’s probably time to replace them. Luckily, with 20% off all windows and doors from WES, this can be your warmest winter yet. Get your mind in the gutter. Fall’s beautiful red and gold leaves mean clogged gutters and a whole lot of work if left for months on end. Clean your gutters and downspouts now and regularly throughout the fall and winter. Also, consider installing gutter guards to keep this task manageable (and bearable). Before you really kick your furnace into full gear, consider having it serviced by a professional. Our precision tune-ups provide a 37-point inspection that will ensure your system runs efficiently, effectively, and safely. By inspecting, testing, tightening, and cleaning, this service can also help extend the life of your furnace. If it’s time to replace it, check out furnaces from WES—they’re 20% off for a limited time. This fall, inspect your water heater for leaks and always keep an eye out for rusty water. Pay special attention to the year in which your water heater was manufactured. If it is nearing or over ten years old—or if it’s just not performing to your needs and you’re tired of cold showers in the morning—consider replacing it with a tankless water heater from WES; they’re 20% off for a limited time. With optimum efficiency and endless hot water, it’ll ensure your winter mornings stay warm and relaxing. It’s time to accept it—spring and summer are over. And while we still get to enjoy the beautifully colored foliage of fall for a while longer, it’s time to prepare our yards for winter. Here are a few quick tips to get your yard in shape for the colder temperatures. Remove dead annuals and mulch perennials—mulching will help prepare your yard for winter by guarding plants the cold, harsh weather. Rake leaves and lawn clippings to prevent areas of your lawn from being buried under leaves and getting sun-deprived. Clear out any plant debris from your garden to prevent mildew, mold, and other problems that can result from stagnation. Do one last complete weeding of your lawn and garden. Keep in mind that fall is a great time to catch up on any home improvement and maintenance tasks that may have fallen to the wayside this summer. You’ll be glad you did in mid-January when the temperature has dropped, and the cozy fire is calling your name. Don’t forget, our cash for energy clunkers sale continues until 11/30/2015, so be sure to check out our heating and cooling systems, windows, doors, tankless water heaters, siding, generators, gas fireplace inserts, and insulation. We have the products you want at 20% off, and the energy savings you need to keep your home (and your wallet) happy. Are your pipes headed for a disaster? Posted On: July 23rd, 2015 Filed Under: Plumbing 2 Comments on Are your pipes headed for a disaster? Just like a new workout routine shows you where your muscles are weak, a change in use can reveal flaws and weaknesses in your home, particularly in your plumbing system. Your plumbing is hidden in walls and crawlspaces where issues often go unseen until it’s too late. Here are the clear signs to look for and steps to take to prevent a plumbing disaster. Visible warning signs that piping is corroded and dangerous. Piping wears from the inside-out, leaving you to guess when a leak could occur. Older homes built prior to 1970 may have galvanized steel pipes. These pipes do naturally corrode, and as they do, rust will appear in the water as minerals build up. Over time, the corroded pipes will leak. Small leaks can go undetected and create mildew and mold hazards long before you see them. An additional risk for older homes is having a mix of pipes installed at different times by different plumbers over the life of the house. Knowing your plumbing history will help you predict future issues. For most of us, running alongside our home is a side sewer. This is where the main drain connects from the house to the city or town sewer system at the street. While parts of this system may be on your property and parts on city property, the entire side sewer is considered your legal responsibility and it’s important to maintain it as you would your indoor plumbing. One of the most common side sewer issues is invasion by tree roots. Tree roots can work their way into small cracks and then grow in the pipes. There is nothing a tree root likes better than a source of water. Depending on the species, tree roots can spread wider than the tree branches above. If your side sewer is hijacked by a tree, it will need to be removed and the pipe dug up and replaced, which can be a costly repair. Many Seattle area outdoor pipes have been compromised because they were made of Orangeburg pipe that has gone end of life. This type of pipe, which was used from the war years until the 1970s, is made of tar paper and is no longer considered up to code in our state. It is prone to failure. The best approach is to start with an inspection of plumbing and ask for video inspection of your main drain. This will ensure that you know the status of all of your pipes. If it is time for re-piping, it can be a complete or partial replacement of your system. The process may include using new high quality copper piping, stainless steel water supply lines and some plastic pipes depending on your home and its needs. Copper and PEX (plastic) piping will not rust. The new piping will be attached to all existing fixtures. If they have to open up walls to complete the re-piping, some wall patching will be required. Once the new piping system is installed, the plumbing system will be tested and flushed. Washington Energy Services’ plumbers are re-piping specialists. Contact us for more information or to get a home plumbing inspection. Thinking about disaster is never fun, and it often hits the back burner, so if time is limited just start by taking this short list of basics to the store. Stock up yourself or use it to create a great holiday gift for someone you love. Check tire tread. Consider winter radials if you travel over the passes. Have your insurance card in the car, especially if you have emergency road service coverage. Winter Sidewalks Rock salt is environmentally safe and melts ice on driveways, sidewalks and front steps. (non-river) Check gutters to clear debris and ensure they direct water away from the foundation of the house. Clear drains, a much city flooding comes from clogged drains. Add weather stripping to doors to prevent water from coming in under them. Test sump pump to ensure it is working. Seal walls in basement with waterproofing compounds. Power Outage Consider getting a gas powered standby generator or another alternate heating source. Stockpile wood now for fireplace/stove. Keep car fueled up as power outages disable gas pumps. Trim or remove trees on your property that could fall on your house or power lines. Safety first! Never use portable generators or barbeques in the house – they produce lethal carbon monoxide. You can’t smell it and it can kill you. Learn more about preparing for disasters at www.ready.gov. Washington Energy is here 365 days a year to help you stay warm and dry this winter. For more information on standby generators, or for plumbing and drain cleaning, give us a call at 800-398-4663. *Note: chains are not recommended for use on some models of all wheel drive vehicles. Consult your auto maker. Who made the new rulings? The National Appliance Energy Conservation Act (NAECA) was approved by Congress and is administered by the US Department of Energy (DOE). This is the same organization that oversees the EnergyStar program. That translates to: this is serious business and a real change for all water heaters sold in the US. What are the new water heater regulations? Water heaters produced after April 16, 2015 must conform to new energy efficiency standards. These translate to a mandatory increase of 3% – 30% greater efficiency vs. current models. The amount varies by tank size based on formulas. The larger the tank, the more the efficiency is required. The gains in efficiency are small, but given that the vast majority of homes in America have a water heater; small can add up to big savings for the environment. If you have a tankless water heater with an efficiency rating above .82, (all that we sell are at this level), good news, your water heater already complies. However if you are in one of the hundreds of thousands of Western Washington homes, condos and apartments with a standard tank water heater – please read on! 1. Fitting it in your house. Unlike the new light bulbs that fit in the same sockets as incandescent ones, the new tanks are not going to be the same size. The Rheem tankless water heaters are 27-1/2″ in height, 18-1/2″ in width and 9-3/4″ in depth. If you have a tight closet or a small door, you may have to relocate your water heater, or take off door jambs to bring it in. And sorry, we (or any installer) would have to charge for that if we did it. 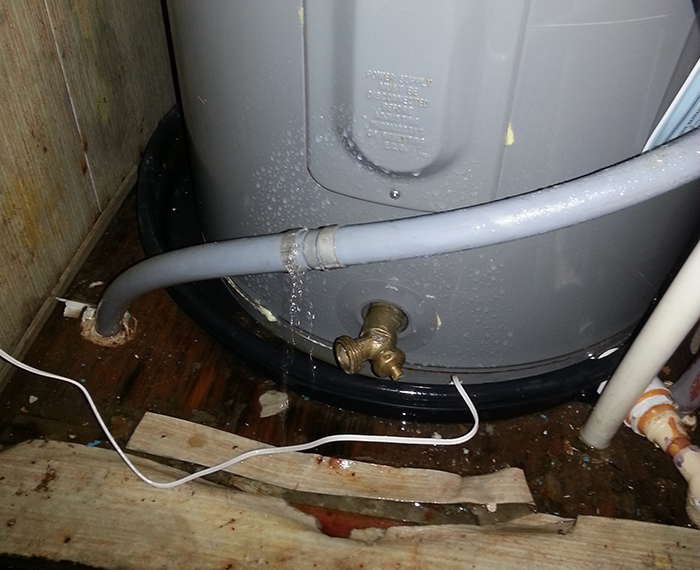 There will also be new and larger venting required for some gas water heaters. 2. Manufacturer price increase. All of the manufacturers will have to re-tool production lines, and this is expensive. Combine that with increased materials cost from adding more insulation to tanks and we anticipate retail price increases in the range of $100. 3. Custom install solutions needed. To fit some homes and apartments may require creative planning on the part of your installer. For example: If a 50 gallon tank won’t fit, a 40 gallon tank with an added mixing valve may produce the hot water you need. Fortunately our team has the experience to do that. 4. Some larger sized tanks may be discontinued. If you have a large size electric tank (66 or 80 gallon) or 75 gallon gas water heater, some of these are being discontinued. While new products may come along to replace them, the installer community has not yet seen them. What can I do right now? Standard water heater tanks last around 8-10 years. If you are thinking it’s time to replace or if you have an older tank located in a tight closet (hello condo & apartment dwellers! ), we recommend doing it sooner than later. 1. Upgrade to tank water heaters that already qualify at the new energy efficiency levels, (gas or propane). 2. Replace with your same tank style and size while still available. 3. Consider a move to a tankless water heater. For gas water heaters, models are available today that meet and actually exceed the new standards. Tankless water heaters are an available option as they run on gas or propane and meet the new energy standards. We also carry super efficient standard tanks, for example, Rheem Power Damper water heaters. They are EnergyStar rated and exceed the new efficiency standards, saving you even more on your water heating costs. This type of water heater costs a bit more than today’s standard gas water heater, but we expect it to be closer in price to the new gas water heaters in 2015. So you can start saving energy now, at around the price you might pay next year. Current hot water heater tank styles can still be installed after April 16, 2015 but inventory will eventually run out. Installers and suppliers are stocking the last of the available current style tanks as we know many people will want them. Whatever the new rules bring, Washington Energy will be able to provide you with water heater choices, custom installation and competitive pricing. For a free all-inclusive quote over the phone, please call us at 800-398-4663. Group discounts are available now for condos and apartment buildings. Prep your home for winter coupons. For any heating system (furnace, heat pump or boiler) timely maintenance can make a difference, up to 10% savings in heating costs. And importantly, if you have an older furnace, you’ll want to see how much life it’s got left in it, so it doesn’t leave you stranded in the cold. All heating equipment manufacturers and EnergyStar.gov recommend annual professional maintenance of heating equipment (a “tune up”). And for gas standby generators, it’s required for the warranty. Why do they call it a “tune – up”? Because it has the same function as the tune-up, oil change or mileage based maintenance you might get for your car. Lubricate moving parts to avoid wear. Inspect condensate drain in furnace, AC or heat pump. Check system controls, starting cycle and shut off. Check gas connections, pressure, combustion and heat exchanger. For expert maintenance services like these, call Washington Energy Services at 800-398-4663. Our 37 point furnace maintenance costs $159 and extra pieces of equipment can be added at a discounted rate. We service all major brands of heating equipment. Home Energy Audits are also available. Windows in pane? When to repair, and when to replace. All for home since 1957.